Karl Marx believed that the production of too many useful things would result in too many useless people just wandering around with nothing to do. Well, Karl, you were wrong. I can’t think of a better example than to look at the history of farming in the United States. In 1900, 41 percent of the workforce was employed in some form of agriculture. It wasn’t until the middle of the 20th century that the use of machinery in farming became the standard. By 1970, only four percent of the employed labor in the United States was working in agriculture. Did that mean that millions upon millions of workers just started wandering around like Karl Marx would have us believe? No. I tell my four sons something that I know will prove to be true. That in 20 years there will be more jobs that haven’t ever existed before, than there are jobs available today. When technology takes the place of a worker, like in the case of machinery taking over for a famer, it allows that farmer to pursue something better. You can find this example all over business today, where new or emerging technology allows a business to reallocate its workers to a different area or focus. A smart business owner and a capable employee should embrace technology. If and when something comes along that can make a business more productive and more efficient, jump on it, and know that adopting technology also means opening the door to previously unearthed potential. Another company that continues to change, improve, and innovate is Intel. Intel introduced the world’s first microprocessor in 1971. You won’t see a single human being on the Intel processor chip assembly line; the chips are made entirely by machines. People are employed solely to maintain and calibrate the machinery. That’s why Intel can make so many high quality chips. If humans were making chips by hand, the process would take much more time with a much greater margin of error. Robots rarely make errors. They are more efficient, faster, and more productive than humans doing the same job. Early on, the people at Intel determined that robotic technology was what the company needed to grow and excel. When I graduated from dental school in 1987, the method for doing a root canal was much different than it is today. (A root canal is necessary when the tiny canal in the middle of each tooth that houses the nerve, as well as carries blood and nutrients to the tooth, becomes infected.) The old method was to use a tiny, needle-thin, stainless steel hand file to clean out and sterilize the inside of the canal—a process that took up to three hours and often over the course of three one-hour appointments. For the first five years of my practice, I had permanent blisters on my thumb and index finger from those darn little files. With technology came automatic files that either ultrasonically vibrated or automatically spun around at about 300 RPMs. The technology grew out of a metal developed by NASA. NASA discovered mixing titanium with metal resulted in a metal that would bend, but then spring back to its original shape. It was the first metal with memory. Once the dental industry started using this nickel titanium metal to make these automated files, a root canal that required three one-hour appointments took less than an hour. Not only did technology make me faster, it made the job easier at a lower cost, with higher quality and a better outcome for the patient. There was no way I could clean out that root canal by hand in three hours as well as I could do it with these new files. Take a walk around your business and look for the ways you can increase your efficiency and productivity with technology. What new digital technology can you utilize? What type of upgrades can you make? What can you buy to help your staff’s work become faster, easier, and higher in quality? Spending the money now will save you money later, especially with labor. Think of it this way: between what you take home and what all your employees take home from your business, an average of 50 percent of your money is going to you and your people. Instead of spending a little—1 or 2 percent of sales—on technology, invest in the technology that will make your expensive staff as efficient and productive as possible. The more efficient your employees, the lower your labor costs, and the higher your net income. As a business owner you need to stay up to date technologically to continue to be successful. 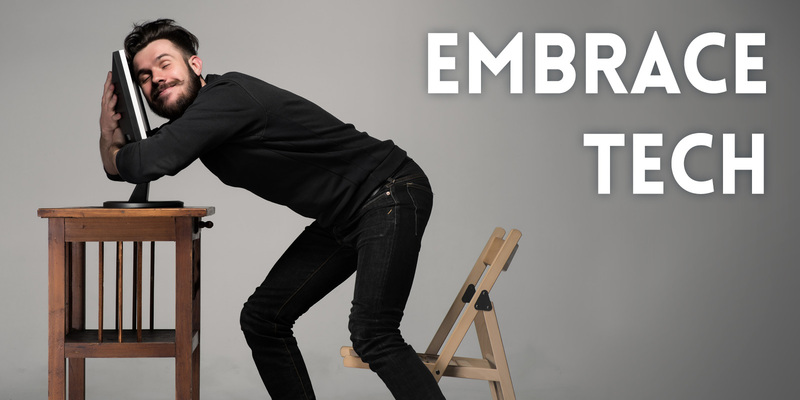 Don’t be afraid of technology; embrace it! Every business owner will say he or she wants to meet and get to know customers. While this is probably true, I am going to take it a step farther and say that if you’re not getting to know them in the right way, you’re wasting your time and theirs. At my practice, I—and my staff—ask every patient more than just the typical line of questions. Any dental practice can ask for a name and for insurance information. At Today’s Dental, we ask about the patient’s previous dentist, and his or her dental experiences. 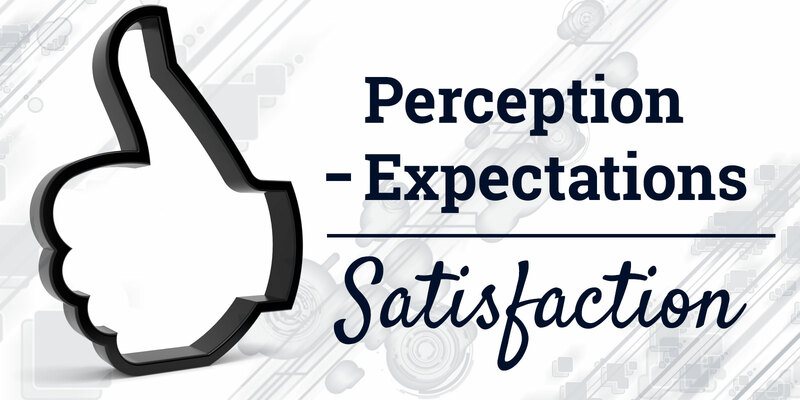 Often this leads to a great conversation—not only do I learn about this new patient’s expectations, but I also learn what he or she values in a dental office. This is invaluable feedback for me, the business owner, and it also communicates to the patient that we listened. This is something that every business owner can and should do. Customer engagement is a science, but it isn’t one you need to study very hard to master. Every time a customer walks in your door, you have an opportunity to strengthen the bond between that customer and your brand (your practice). In this digital age, we have powerful and effective methods to connect with customers. Online, interactive tools like social media are a far cry from one-way communication tools like print advertisements or direct mail. In some cases, feedback has become almost instantaneous. Thanks to these tools, there has never been a better or easier time to foster customer relationships. Excerpt: It doesn’t matter what business you’re in, gather key information from every customer who walks through your door. Whenever possible, communicate with your customers face to face so that you can establish a personal relationship with them. Face-to-face communication comes easy for some; for others it is a struggle. But it is an opportunity to listen to your customers with your full attention—to learn what they need, what they want, and what concerns they have. Phone calls to your customer also are a great form of communication. In my dental practice, we make follow-up calls to our patients after any procedure to find out how they are doing. We want our patients to trust that we continue to care about them even after we’ve collected their money. The downside to phone calls is that they can be expensive and time consuming for your high-cost labor. When a personal call is unwarranted, automate your calls to make your labor more efficient. Back in the day, my practice used to call patients to confirm their appointments; now we automatically email them two weeks ahead of time, saving on labor. Our automatic email message features “click here to confirm” box. That way we only need to follow up with those who don’t respond online. Be sure to ask for your clients’ email addresses along with their permission to send them coupons or other special offers. Be careful not to email too frequently. If you send too many messages, your customers may unsubscribe and you’ll lose the advantage of a very low-cost mode of communication. Remember: moderation is key. Texting is among the latest, most rapid forms of communication. Texting is now first in customer communication—ahead of email, websites, and social media. Over 90 percent of texts are read within ninety minutes. If I want my kids to come downstairs for dinner, I don’t yell for them; they won’t answer! But if I send them a text message, they’re downstairs in seconds. Texting has become one of the best and most direct ways to contact your customers, and it gets the best response. Another perfect way to stay connected with your customers is to develop an app (short for “application”). When I was little, when my mom needed to call the physician, dentist, or pharmacist, she found the phone number on one of the many magnets posted on our refrigerator. The apps on today’s smart phones are just like the magnets on my mother’s refrigerator. When we send our patients a message, a little red indicator pops up on their app button to alert them that they have a message from their dental office. Imagine if your dry cleaner offered you an app that let you know when your clothes were ready to pick up. I am fifty years old. Over the past two decades, I have witnessed firsthand dental practices that achieved enormous success and others that slowly faded away. The difference was in whether or not they were willing to adapt to new technology. Never stop learning. Don’t stop because you finally own your own business, and especially don’t stop because you’ve run into some success. Success isn’t any indication that you should stop taking in new information, learning new things, and leaving yourself open to new opportunities. 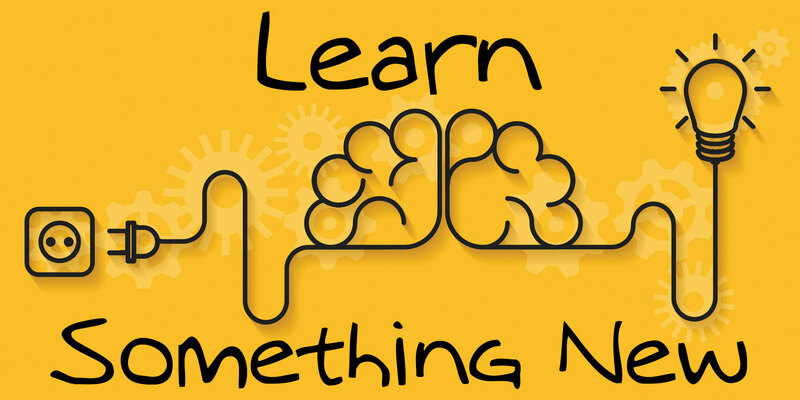 I opened my dental practice in 1987, and I haven’t gone a single day without learning at least one new thing. And no, that’s not because I’m a slow learner! Earlier this year I started doing podcasts, and now I’m completely addicted. I post every single one of them for anyone who wants to listen, for absolutely zero cost. What has me hooked on podcasts is that I have the opportunity to sit down with the biggest names in dentistry and business and learn from them. At the end of every recording my mind is blown, and from the feedback I’ve gotten from listeners, I know I’m not the only one. I guarantee that no matter what business you’re in, opportunities exist for you to learn, whether through associations, continuing education or something as simple as listening to one of the pioneers in your industry. You can spend your time doing anything you want, but you owe it to yourself and to your business to spend at least some time learning how to be a better business owner. Excerpt: Dental associations provide dentists like me with many opportunities to broaden our knowledge and skill set. When I got out of dental school, I began taking over five hundred hours of continuing education courses per year because I wanted to learn everything at the beginning of my career. I figured the best return on investment would come at the beginning of my career, not at the end. At the end of one particular course, I was asked, “Do you want AGD credit?” I had no idea what AGD meant. So I asked an older dentist who explained that it stood for the “Academy of General Dentistry” and insisted that I join. He told me that after completing five hundred hours of instruction and successfully passing an all-day exam, I would receive my fellowship (FAGD). Another six hundred hours and I’d receive my mastership (MAGD). There is a reason there are 30,000 members of the AGD; they have much more successful practices than non-AGD members. It’s cause and effect. What is the AGD for your profession? Whatever it is, I urge you to join today. Consider what credentials you could commit to learning today that could positively impact your career. You will never regret the time and money you spend credentialing yourself in areas of your profession. Too often in business I see owners who want to get rich quick, to become overnight successes. They have no idea they need to put in ten thousand hours over ten years before they master anything. The current world economy is viciously competitive and you’re going to be lousy at whatever it is you’re doing for your first two or three years. You’ll be okay in years five through seven. But you won’t be the greatest at what you do for ten, twenty, or even forty years! Business success is a marathon, not a sprint. As long as you don’t give up, you’ll achieve it. Whether it is with your clients, finances, networking or new technology—you have to put in the time. Too many business owners need to turn off the television, set aside the Xbox—or any other idle distraction—and put in the time to master their business and become a success. There is such a thing as too much communication. If you have a work email, you know exactly what I am saying. There are days where the question just begs to be asked: If all of these people are this busy communicating, who is actually doing the work that needs to get done? One of the biggest traps in business is also one of the most benign-looking. Communication. You only need so much of it. As the owner of a media company and a dental practice, the last thing I have time for is to be .cc’d on every email. It’s hard to yank wisdom teeth with both hands on a keyboard. The same goes for your employees and the work they need to get done. I guarantee you that nowhere in their job descriptions does it list, “spend half the day responding to emails.” Yet that is the sad reality of many businesses out there. It doesn’t have to be and it shouldn’t be. Communication overload is a fairly new problem in the scope of issues a business can face. It’s not messy like customer complaints, or stressful like financial loss, yet it can be just as disruptive when the whole team is more focused on not missing an email than they are on completing the tasks that keep the business spinning. 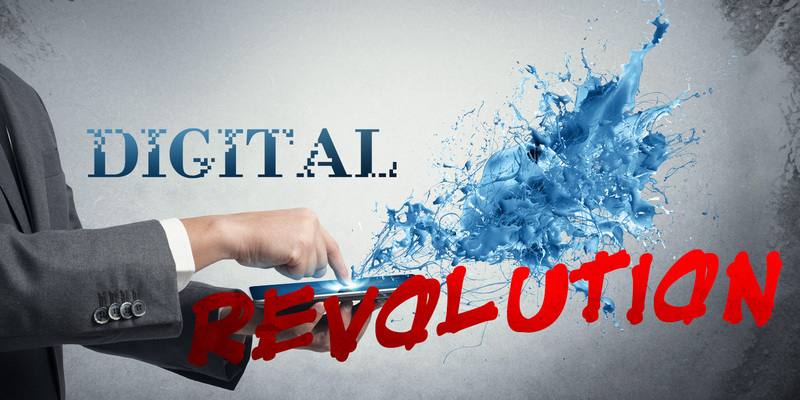 Excerpt: The digital revolution has certainly changed the way we communicate. Back before email and cell phones, a cement truck might leave the factory only to arrive at its destination to be told the cement was no longer needed. There was no way to get in touch with the driver to tell her, “Don’t go to that site; go to this one instead.” Now someone just calls the truck driver on her cell phone and she takes the concrete where it’s needed. But I believe the pendulum has swung too far in the other direction. Now instead of no communication, there is too much. Businesses are over-communicating with way too many emails, texts, and meetings. Instead of increasing efficiency, they are wasting valuable time. Begin each business day with a morning huddle. Businesses that start with a morning huddle to discuss their goals for the day are more than twice as likely to be successful. It’s all about planning. Can you imagine a football team not having a strategy meeting before the big game? As they arrive at work, your employees’ thoughts are still on their early morning routines of getting dressed, making breakfast, making sure the kids get off to school on time with their homework and lunch boxes. The morning huddle is an efficient means for staff to transition from personal mode to business or “game” mode. 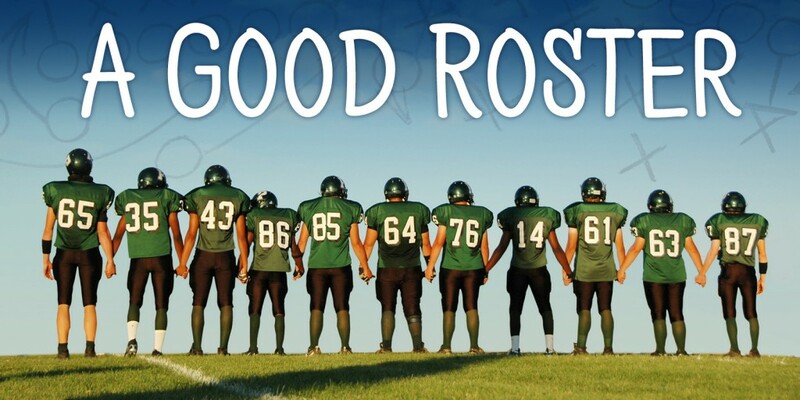 In our dental practice, we do what any football team does before the big game. We review our strategy and set our priorities. We define the focus for each member of the team for that day. We try to anticipate potential problems—such as an unscheduled emergency—and create solutions. Where can we work that patient into the existing schedule? Which operatory can we make available? Similarly, if we are low on supplies, we discuss what and how to conserve until our shipment arrives. Keep your email messages clear, concise, and focused only on the crucial points, so you aren’t wasting anyone’s time. Design your communication around your organizational chart. If you have five teams and each team has a department head, only message the person in charge. Do not waste your staff’s time by copying the message to every member of the team. Let them work and be productive. Don’t accept unnecessary messages in your email files. Instruct your staff to copy you only on matters that require your decision, and allow them to unsubscribe to any emails that only waste their time. Take advantage of available technology such as walkie-talkies or an interoffice messaging system. Set up an automatic response that lets people know that you’re managing your email the way you want and that if it’s important, you’ll get back to them ASAP. No matter how hard we wish for it, there just isn’t ever going to be a way to make more time. There are 1,440 minutes in every day, and nothing we could ever do would add even one minute to that total. The fact is, having enough time is not the difference-maker in your business. What is the difference-maker? What you, your employees and your customers do with some of those 1,440 minutes. As dentists or as business owners, we scrutinize how we spend our time—so much so, that we often fail to see a huge part of the picture: the time of our employees and our customers as they relate to the processes in our business. Every business is a series of processes that involve trading goods or services with customers. Don’t make it any more complicated than that. 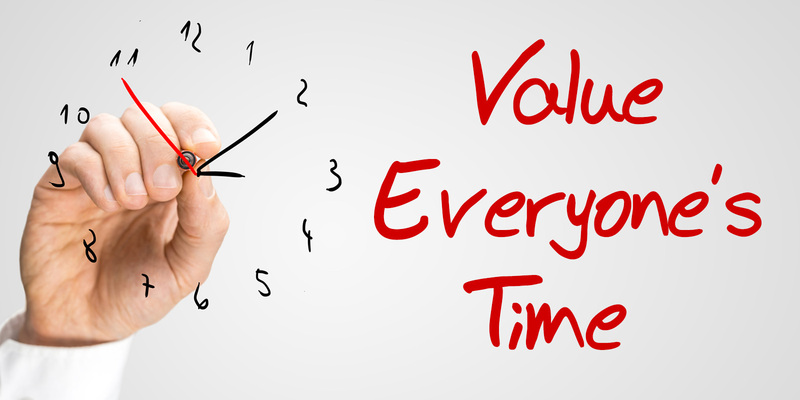 I’ve already said that we can’t make time, but we can save time, and more importantly, we can value time. Imagine if you were to put a dollar amount on every minute of the day. You’d be much more aware of every passing second, and whether those seconds were being spent in a way that brought value back. Excerpt: In 1776, the great economist Adam Smith examined the way a factory made pins. He broke down the process of making pins in a pin factory and determined that, by dividing the labor needed for each step of the process, productivity soared. With one worker making the head and another the body, each one using different equipment, productivity was greater than if both workers carried out the full process. You can revolutionize your own business by defining it as a process. In my dental practice, for example, we once used the anesthetic lidocaine to numb a tooth. Back in the day, I would numb the tooth with lidocaine and then go back to my office where I wasted fifteen minutes sipping coffee and talking on the phone while I waited for the anesthetic to take effect. A few years ago a new anesthetic, septocaine, came out that is twice as fast and effective as the traditional lidocaine. I asked my dental assistants to begin timing how long it took for the drug to take effect. As a result we are down to four minutes of wait time before a filling, potentially saving enough time in a day to see another patient. Instead of spending those four minutes on the phone or drinking coffee, we stay and bond with the patient, enhancing our quality of service. Dan Carney, who co-founded Pizza Hut with his brother Frank, mastered this process twenty-five years ago by developing the concept of the buffet. Traditionally Pizza Hut built a restaurant containing twenty-five tables where the average customer would wait to be seated upon entering. Once the customers were seated, the waitress took their drink orders. While the customer looked over the menu, she went to get the drinks. She then took their order and delivered it to the cooks who spent twenty to thirty minutes preparing the food. Finally the waitress served the food to the customers who ate, paid, and left. Start to finish, the entire process took about an hour. By introducing the buffet, Dan Carney increased the number of customers he could serve at any given time, thus increasing his profit margin and his return on assets. By maximizing his use of time, he increased service to his customers as well as his income. Burnout. It is one of the worst things to experience in your professional life. You started off a wide-eyed, excited business owner, thrilled to go to work every day, only to wake up years later and dread every step that brings you closer to the office. 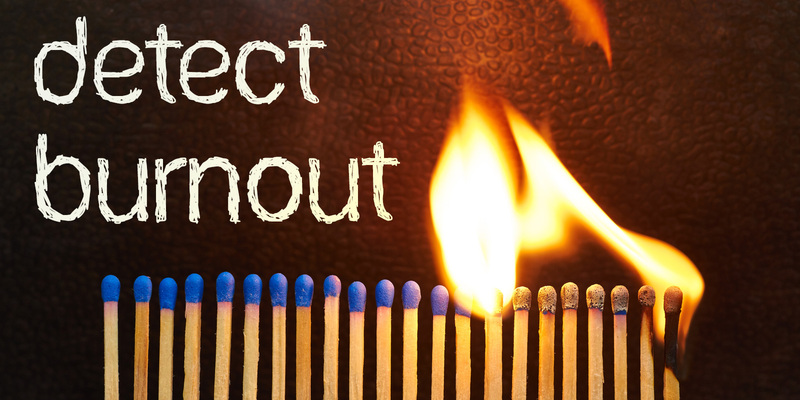 In dentistry, burnout is commonplace. I’ve lectured all over the world and everywhere I go there is at least one doc who tells me that he or she just doesn’t have the old drive or enthusiasm. These docs ask me how, even after decades of practicing, I still show up to the office happier than a zombie in a nursing home. The simple answer is this: I do what I love, and if I don’t love doing something … I stop doing it. It’s important for you as a business owner to make sure that you are happy with your business. Your happiness is one of your greatest assets, and one that you can use to ensure your employees avoid getting burned out, too. If you’re excited and happy to be at work, that will rub off on your employees and get them excited and happy, too. Being able to recognize signs of burnout in yourself and your employees is like early detection of a life-threatening disease. The sooner you catch it and treat it, the better the chances of treating and curing the problem. Excerpt: Remember: Albert Einstein defined insanity as “doing the same thing over and over again and expecting different results.” If you stick with business as usual and nothing is changing for the better, you’ll burn out. The root cause of burnout is fear of making a decision. As my father used to say, wisely, yet crudely, “Poop or get off the pot!” The risk of a wrong decision is preferable to the futility of never making any decision at all. Every morning, our office manager stops on her way to work to pick up a veggie platter—perfect brain food! Celebrating anniversaries of each and every staff member is a must! Providing incentives and means of advancement within the company—all of these generate contagious staff morale. In 2008, my staff and I took a tour of the headquarters of the online shoe and apparel giant Zappos in Henderson, Nevada. I strongly suggest that if you’re in Las Vegas for fun or for a conference, schedule some time to take a tour of their facility. They’ll pick you up at your hotel on the Las Vegas strip and drive you to Henderson where you’ll be greeted by some of the friendliest hosts you will ever meet. There’s a lot of young blood pumping through the place. They’ll guide you through each department where every employee will greet you with genuine enthusiasm. They take a lot of pride in what they do, but they work in an extremely relaxed atmosphere. There’s not a single suit in the bunch. Zappos has a nap room for its employees who’ve been burning the midnight oil and need a break. Zappos cares so much for its people that, if an employee’s performance isn’t cutting it, the company will pay that person to find a job that suits them. Now, we all can’t afford to be Zappos, but we can apply some of their tenets in our own businesses and make our offices a more employee-friendly place to work. Culture starts with the owner. Even if you have only three or four employees, it still makes sense to have a break room. What every business needs is interesting perks, bonuses, flexibility, zero bureaucracy, and elimination of ridiculous rules. Companies have to be able to move fast, and they can’t do so while mired in a stuffy culture with too many rules. Excitement spills onto your staff. It makes your office a fun place to work. Pretty soon, everybody who walks in and out has this positive, awesome attitude. The enthusiasm increases word-of-mouth referrals, leads to more positive press, and decreases your desire to retire early. It affects the attitude, production, and quality of all of your services. And it keeps you, your staff and your business from burning out. You compare any two or more businesses that are successful and you’re bound to find a handful of similarities, but you will find only one that comes up every time. Every successful business knows its audience and targets that group every step of the way. I see a lot of places these days trying to wear too many hats. I guess the thinking is that the more people they reach the more customers they’ll bring in. Really? Let me know how that’s working out for you. Costco is a great example of a company that knows its audience. Its audience is shoppers—with a bit of pantry space—who are looking for a bargain. You know how many members Costco has? In 2010, the company had 58 million members around the globe. I doubt that number has gone down. But you don’t have to be as big as Costco to use its approach. Your business has a product or a service that one specific group of people—more than any other—would benefit from. Don’t lose sight of that group just because you think casting a wider net somewhere else will bring in a better catch. Excerpt: Every successful business has an obvious client base, whether your vertical is in food, transportation, utilities, or health care. Dentistry has an obvious client base made up of people who want to keep up their oral health, improve their smiles, or get relief from tooth pain—whether they want a root canal and crown, or the low-cost option of extracting the tooth. My first demographic decision had to do with the average median household income. If I wanted to focus on root canals, crowns, bleaching and tooth-colored fillings, I needed to target the upper half of the median household income. If I were going to focus on low-cost silver fillings, extractions, and dentures, I would focus on the lower half of the median household income. I chose to sell high-priced dentistry instead of low-priced dentistry, focusing on the upper half of median household incomes in my area of Ahwatukee, Arizona, where the median household income is around $80,000. Once I knew the price I was targeting, I asked myself, “Who makes most appointments?” My team and I found that mothers make more than 80 percent of dental appointments. They not only make appointments for their children and themselves, they also typically make the appointments for their husbands. So, we targeted all of our marketing efforts to Mom. We ran ads in the local newspaper that targeted Mom. We placed ads on shopping carts at the local grocery store. We sent out direct mail pieces focusing on Mom, meaning we promoted tooth-colored fillings in a kid-friendly environment. As I mentioned, my practice is located in a busy plaza frequented by families, in contrast to the traditional dental office buried in some medical building off the main street where no one knows it exists. Knowing that we’re target marketing to Mom, we also parked a nice, colorful merry-go-round in front of the practice, so Mom knows instantly that our practice is kid friendly. And when Mom and the kids walk through the door, they’re greeted with a bulletin board featuring the “No Cavity Club” right next to a playroom in the waiting area, similar to the play areas in many McDonald’s restaurants. 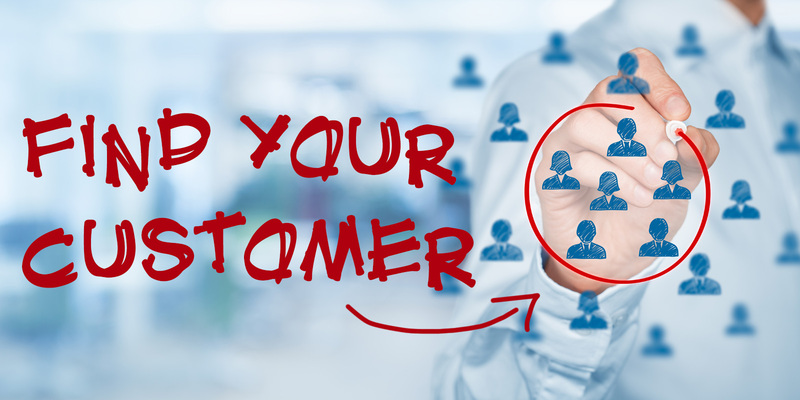 Your customers are not just the people who buy your product. They are the people who will keep you in business—by teaching you the most about your business. If you want to reach your goals, you have to listen to your customers. The most important thing to remember when you listen to your customers is that you have to take the bitter with the sweet. Nice compliments are fine, but they don’t tell you what you’re doing wrong, only what you’re doing right. They’re just an acknowledgement that someone thinks you’re doing a good job. Great. Pat yourself on the back. Feel all warm and fuzzy, and continue on. But I want to hear the bad stuff. I want to hear how we messed up or could have done better. Every company has room for massive improvement. It’s when you get complacent and only listen to the sweet things that you start resting on your laurels and become stagnant, preparing to get run over from behind. About seven years ago, I told my office that I had decided to drop $125,000 on a machine that would make dental crowns in the office. The normal protocol was that we sent out for crowns, a process that took a lot of time. Having the technology in the practice would allow us to make the crown on the spot and have it ready for a patient in about an hour. I thought it was a great idea, and even though I’m the one in charge of making the purchase, I respect the opinions of my employees. Especially if they disagree with me, because this means they trust me enough to know that I am not going to fire them for having a difference of opinion. So right after I pitched my plan on this $125,000 machine, my office manager and my assistant both stood up and told me it was a waste. My assistant said we should be investing money in an office makeover, since the place hadn’t been touched up or redone in more than 10 years. My office manager said the money would be better spent marketing to get new patients. They both had great points. Here I was, focused on the part of the business I loved the most: the dentistry. I wanted to have this awesome new technology to offer to patients. Meanwhile, my assistant and my office manager were focused on the areas that they were most passionate about. In the end, we pursued all three areas. We remodeled, we got a great marketing firm to work with us, and I got my CAD/CAM machine. But let’s take a look at how quickly the story could have gone from a great ending to a terrible ending. Imagine that my assistant and my office manager didn’t trust or respect me enough to speak their minds without fear of repercussion. Or imagine that I didn’t respect my employees enough to even inform them of major decisions. While I may have greatly improved one part of my business, I ran the risk of completely neglecting other areas, and worse, disrespecting the very people I hired to make my business better. As a business owner, I’ve found that trust and respect must go both ways. Employees must know they can speak their minds, and business owners must feel comfortable presenting ideas to their teams and hearing the feedback. Excerpt: One of the biggest signs of trust is that all of your employees can argue with you freely, out loud, and feel safe. That’s even one of my company’s core values: Strive to make everyone feel safe, valued, and important. That begins and ends with trust and respect. Trust and respect are two business concepts that too often get left out of business school curriculum. We get so busy talking about cash flow, shareholder value, and meeting the bottom line that, most of the time, the idea of treating staff well gets put on the back burner. But here’s the thing: if you want to have cash flow and you want to meet your bottom line, you need happy employees. This is where trust and respect come in and why I believe they warrant an entire chapter. Trust is hard, especially for those of us who like to have our hands in many pies at once. I love knowing what is going on in all my departments. But I’ve learned that micromanaging rarely yields positive results. It shows your employees you don’t trust them, don’t value their work, or don’t believe they are capable of completing a task on their own. You can’t give someone the responsibility for something without giving her the authority to make it happen. Here’s an example: Let’s say you give your employee, Greg, the responsibility for taking care of the landscape maintenance at your company, yet you require that he run every decision by you first. He’s not authorized to fire the existing lawn service company if he decides it is not up to par. He’s not allowed to bid out for services, and if you receive bids for three different price points, he’s not allowed to pick the right company. 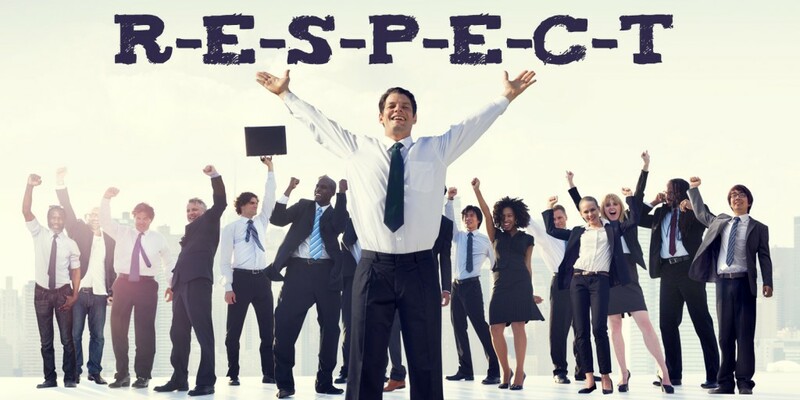 Respect doesn’t just mean respecting them as people, but also respecting their time and the quality of their work. The line between work and home gets blurry. To promote the balance between personal life and professional life, you can’t devise a structure that dictates the daylight hours from eight to five are all work and no family, and evening hours from five to ten are all family with no work. Those are old concepts that come from the industrial revolution and working on an assembly line. They don’t apply now. It’s so important for bosses and employees to have a balance between family life, professional careers, health, and spirituality. If employees feel a mutual respect, these blurred lines won’t be an issue for anyone. You can be the best coach in the NFL, but that doesn’t guarantee that you’re going to the Super Bowl. After all, it’s your players who make the plays. You get them on the field, give them direction and then, if you’re smart, stay out of the way. Vince Lombardi is considered by many fans and analysts to be the best coach football has ever seen. Does that mean his team won every single championship they played? No. But it does mean that he treated every single game like it was a championship, and he made sure every player on the team was in line with his vision. Another thing that great coaches have in common is their ability to spot talent and recruit it for their team. One of the hardest things to do in business involves the same skill set: Being able to pick out and hire the right people to play on your team. Some of the most important attributes to seek are not going to show up on a résumé or somewhere in a cover letter. I’m talking about passion, enthusiasm and drive. Learning how to identify the right kind of hires is a game-changer. But it’s just as important to know you can’t be afraid to cut a player off your team who doesn’t share your vision, one who can’t play nicely in the sandbox with everyone else, or who doesn’t deliver when the chips are down. Excerpt: When it comes to building a winning team, the name of the game is loyalty. What are you doing to ensure your team consists of reliable people you believe in and who believe in you and your business? Do your employees know your story? Do they know why you started this business? Do you ever let them know how important they are to your business and how much you value them? In order to have a winning team, you need to create it! Here’s how. In sports you want the best athletes—the ones who can consistently get the job done and win the game for the team. You want the same thing for your business, a winning team. As in sports, you need to build a team of top performers with complementary skills to create a winning business. The most important thing your team has to deliver is quality, and quality equals consistency. The interview process is serious business; if you want to be successful, you have to learn how to win that part of the game. If you own a home, how many houses did you look at before you committed your dollars? If you are married, how many people did you date before you proposed to that special person? Ten? Twenty? I can’t tell you enough: hiring the right employee is that important. You want to hire people who will stay with you for life. I find it insane when a business advertises an opening in the newspaper or online and then quickly hires one of the first three people to drop off a resume. That’s nuts. Do you really think the New York Yankees would interview only three people for a catcher position? Or do you think they might actually scout out every single catcher playing for a university today? The Yankees take HR extremely seriously. In my business we often spend up to two months on the hiring process. We know that if we get it right, we may have a player for ten to twenty-five years. When you’re hiring, you’ll likely receive a wide array of resumes. Some will have the full range of experience you’d expect from an applicant, others might have some, and the rest will be among those who send out a resume because any job will do. Like people, you’re going to receive resumes that range from A to F. If a magician is applying for an engineering position, the likelihood of that resume disappearing into your wastebasket is pretty good. Once we’ve whittled the list down to a smaller pool of applicants (those with relevant skills, job experience, great references, good examples of previous employment, etc. ), we like to talk to them over the phone to get to know their personalities. A person might look amazing on paper, but if they have zero personality over the phone, we won’t even ask them to come in for a personal interview. If we like what we hear over the phone, the next step is to invite them to come in for the initial interview. The hardest part of the HR process is trying to identify the star players via a one-hour interview. This is why I recommend a multiple-step interview process that involves the entire management team. If you hire someone who doesn’t jibe with the rest of your team, you’ve wasted a lot of time and resources in getting that person up to speed, and it hurts to have to start the hiring process over. I always have my entire management team interview the applicants as well, often when I’m not in the room, so they can give me their honest and independent thoughts about the person, and to give the applicant the opportunity to ask questions of those on the front line. When I got started in dentistry I realized quickly that the profession could be a lonely endeavor. I had and still have terrific staff members and other support, but there were times that I was the only dentist around. Sometimes it felt like I was the only one on the planet. If I felt like that, I knew other dentists felt that way too. My goal when I started my media company was to somehow connect all of those cottage-industry members. It’s been almost 16 years since I set out with that desire. The goal never changed. However, I did add to it. I acquired other goals that supported my main goal of connecting dentists. Fortitude is great, but don’t get stuck endlessly chasing just one goal. You’ll know when you’ve succeeded in it and you’re ready to look bigger, broader, and start creating new goals. Take a look at your business and ask yourself, “What’s my goal?” If you don’t know or you don’t have a definite answer, then you’d better sit down and take some time to figure it out. Have an aim, figure out your trajectory and then take your shot. The following excerpt on goals is from my new book, “Uncomplicate Business: All It Takes Is People, Time, and Money.” The book comes out in October 2015 and is available for pre-order at HowardFarran.com. Excerpt: When I began my media company for the dental profession, my goal was to connect every dentist around the world via the Internet so that no dentist would ever have to practice solo again. Dentistry is a cottage industry and many dentists practice alone. It’s hard to practice dentistry alone in your little corner of the world. I noticed the best interactions between dentists did not occur during formal presentations at dental conferences, but outside the meetings, over a drink or hanging out by the pool. That’s when they could really exchange stories about difficult cases or interesting patients who came through their doors. They were great conversations, but they were too infrequent. I wanted those discussions to happen in a closed forum online, so I decided to start my own website. I wanted my site to be a functional site where a community of dental professionals could flourish and raise the bar for dentistry as a whole. Back in 1998, I was such a huge fan of Microsoft that we based our message boards off of their system. The problem was we weren’t get- ting much action on the boards. We got a lot of complaints; it wasn’t intuitive enough. It was a general pain, but I thought it was the most popular model for message boards at the time. That is, until I walked into work one day and saw one of my programmers checking out the message boards on ESPN. I asked him about the differences and he showed me. The interface was so easy and intuitive. You didn’t need instructions to figure out how to post a comment in a thread. It was awesome. Right then and there we decided to scrap the direction we were headed and went with a new platform. We adhered to our original goal, but tweaked it. Every day since, we have asked ourselves whether we are sticking with our goals and whether they should still be our goals. In order to run a successful business, you need to have more than just a personality that is wired for business. You need appropriate and powerful goals. You can’t drive your business without goals or direction, much like you can’t drive a car without a steering wheel. The tricky part is developing these goals—goals that will sustain your company both short term and long term. In 2010 the Annual Staples National Small Business Survey indicated 80 percent of the three hundred small businesses surveyed didn’t keep track of their business goals. Seventy-seven per- cent said they hadn’t even met their vision of the company. Why is that? I mean, if you think about it, isn’t it amazing these businesses are still afloat? 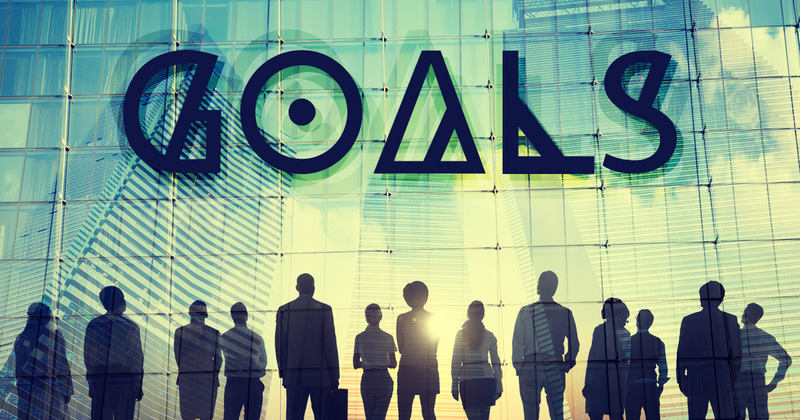 Is it possible that these small businesses have set the wrong goals for themselves? Most businesses starting out will try to follow a certain business plan with certain goals in mind, but most of the time those efforts prove to be fruitless. You must be able to change your goals to fit the circumstances, and circumstances are changing all the time. You must be able to switch directions and alter your goals so that you can realistically achieve them. Building an online community was only one of our goals. Our other goals were a lot broader, and a lot more personal. Surely we’re all in business for personal reasons—selfish or unselfish. Otherwise what’s the real purpose of running a business at all?